As one of the biggest roof tile supplier and installation service providers in Malaysia we understand that people make up our company and people determine the level of quality you receive from our services. Not only do we have a great product, we also act as a roof tile contractor in Malaysia. Like all organizations it’s made up of people and you can be assured our team are professionals in their field. We uphold top quality standards on our workmanship proportionate to the top quality product as we supply roof tiles to Selangor and KL. Trained, tried and tested we are an enthusiastic bunch ever ready to provide and install your home with the care and protection it deserves. Having catered to projects requiring roof tiles in Selangor and KL ranging from housing developments to mega structures we are confident and unperturbed that we have one of the best to offer. As a roof tile contractor we understand that technology and talent is the epitome of this industry. 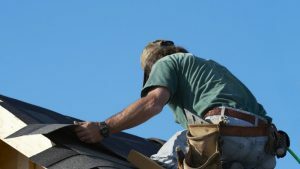 We have moved from the traditional to present-day state of the art roofing materials. Since we do both roof tile supply and install in Malaysia we understand the product, the need and the technicalities of getting it done.